First issue! 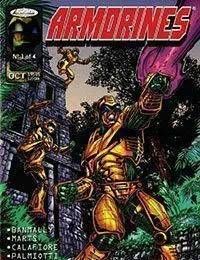 When a force of alien invaders threatens the world, the elite armored squadron known as the Armorines may be the Earths only hope! But why do these aliens seem so familiar?